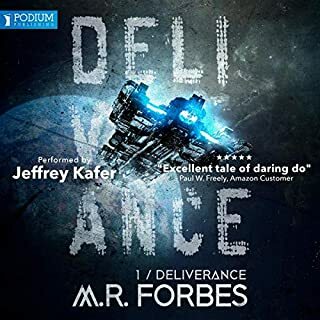 The narrator does a superb job with the narration. His pacing is spot on, as is the many different accents and intonations of male/female/alien voices, making it rather easy to follow the dialogue between characters. The narrator definitely brings the story to life. The author of this story has a masterpiece here. There were occasions where I had to relisten, or listen very carefully in order to understand some of the plot line. But besides that, it is an excellent story, with varying themes small and large alike. 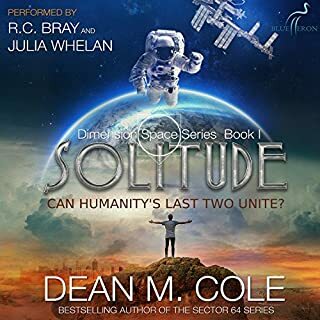 The prominent theme, like most modern sci-fi, is about humanities insignificance in the grand scheme of the cosmos...But does not demean humanities abilities. 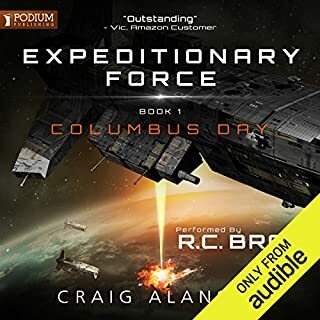 if you love sci-fi, space navy battles, believable technologies , civilizations and love thinking beyond our galaxy...then this is the book for you...And trust me. I'm extremely picky when it comes to sci-fi. also, check out the Fear Saga by Stephen Moss if you end up loving this book. similar style of story, but insanely unique, as is this one. America saves the world, again. American military hierarchy dominates in the future, again. Over sentimental company/squad leaders for their dead marines but hard as nails and herioc at the same time, again. Otherwise the story is not bad. Narrator is good but needs to practice accents, particularly the Australian. The story was intriguing and punchy enough to keep my interest consistently piqued. However, the authors nationalistic arrogance made me want to puke and stop numerous times throughout. This could be a recommendation if these inane comments were removed. loved this book a lot. Great story and excellent narration. on to blood of heroes! 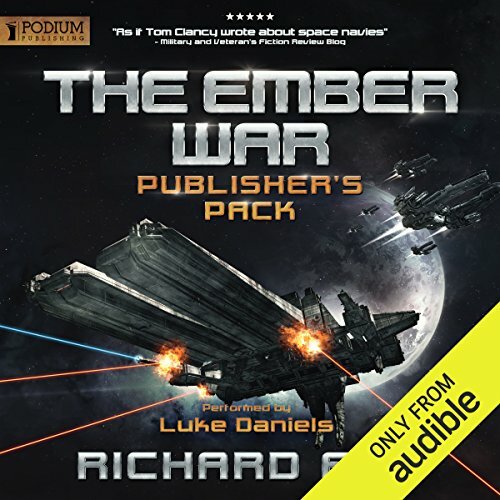 Would you consider the audio edition of The Ember War to be better than the print version? The audio book is exceptionally enjoyable and accessible when driving or relaxing while working around the house. With 2 Children it is not always easy to devote time a print version. What does Luke Daniels bring to the story that you wouldn’t experience if you had only read the book? 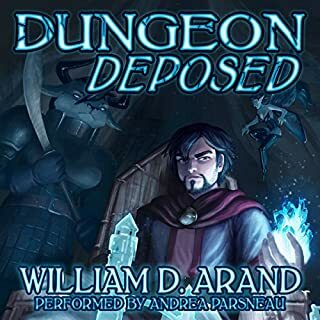 The narration was excellent overall with good character vocal inflection. The only grating aspect is the Australian accent. As an Australian myself I find it over acted and hope I don't sound like that to others. This is a great story without some of the over hyped military macho ism. The characters have more depth and frailty than is generally seen is this genre. All up a great plot, well executed. I will definitely work through the series. Started 'meh' then got better. Rough start for me but improved along the way. The attempts at Australian accents and women's voices are cringe worthy. I'll probably get the sequel. 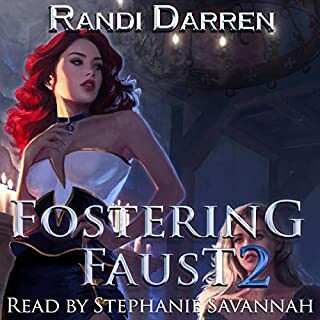 This is a book of middling writing and acceptable concept ruined by what I believe to be the worst narration I have ever had the misfortune to suffer through. At more than a dozen key points across the story so far I have been hoping that characters die, not for story reasons, but so that I no longer need to hear the appalling attempts at creating voices for them. I will continue the series. However this will be painful, uncomfortable, and something I do, not out of enjoyment, but more a pathological need to know what happens after the cliffhangers. I enjoyed this book. it had a good story line. narrated very well. 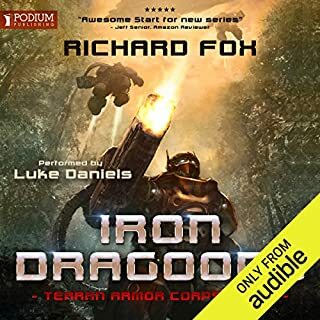 I will be checking out more audio books by Richard fox. 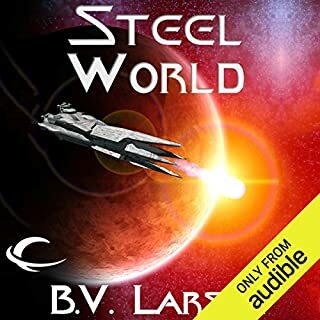 This series is one of the most brilliant audiobooks available. So many great scifi concepts. A great performance and story. Highly recommended. I loved it, U can't wait to get thought the other books in the series! 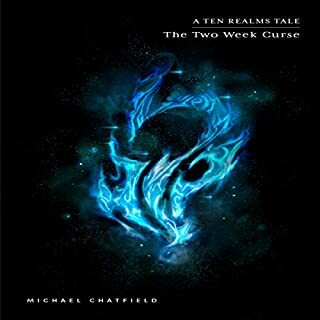 I am quadriplegic and applaud Mr Fox's creativity in turning the disabled into powerful mech warriors. This is the first series I listened to where the disabled play an integral part of the story. 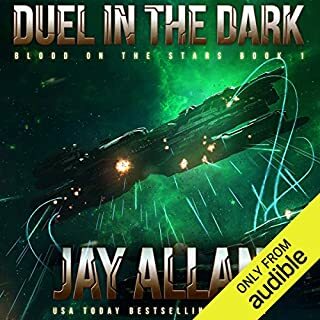 The battles and fast paced action is entertaining but one of the core principles of the series is inspiring: ALL LIFE IS PRECIOUS human, alien, AI, tube grown humans, disabled, robots etc. Sentience is the means by which the universe is self-ware. Everything you ever wanted in space warfare. 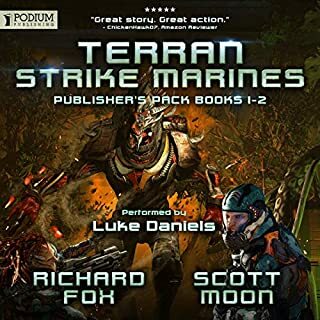 Space marines, giant robot armor, space battles, manipulative AI, mysterious aliens, and a human race struggling to start over from scratch while fighting a war that they have little understanding of...what more could you want? "The Ember War" is so satisfyingly entertaining for science fiction adventure fans that it is a wander that it isn't a household name yet. The writing for it all has so much personality and characterization that the story's pacing is perfect. Richard Fox did a fantastic job putting this story together. 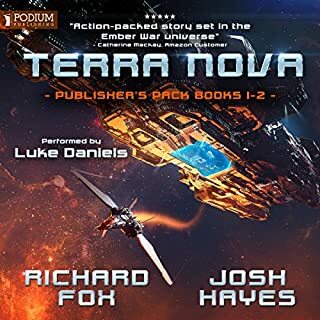 Then Luke Daniels does the narration and the audiobook experience will hook any listener instantly for the entire read through books 1 and 2. His ability to add personality to all these characters and make you care about each of them just using his voice is incredible. 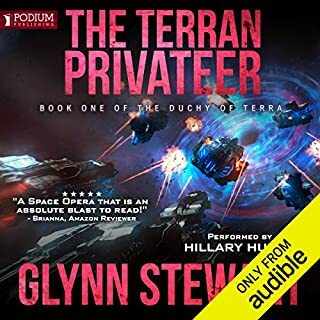 "The Ember War" is definitely a series this reviewer will continue to follow and is highly, HIGHLY, recommended to anyone who has ever enjoyed any science fiction adventure on any form of media. Played "Halo" or "Mass Effect"? Watched "Robotech" or "Stargate SG-1"? Have you read "I, Robot" or "Enders Game"? Everything you have ever loved about any of those examples can be found here. I just don't understand the hype. Overall it's not a bad listen, there are moments where you actually care what is going on. Mostly though it's two dimensional characters playing out a story the feels like you've already heard it a dozen times from a dozen different authors. 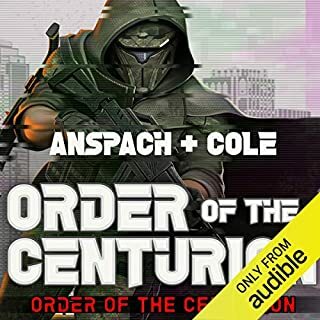 I got this because of the narrator and Luke Daniels is still good though he does mispronounce a few things here and there. My biggest concern is that I had very little desire to listen to the book at all. It wasn't fun, entertaining, witty, interesting, dynamic, or really any of the things you'd like to hear in a good book. I guess I'd compare this to microwave macaroni and cheese. It's not actually bad, but it isn't really good either. Just like any series it’s impossible to review until its ending. 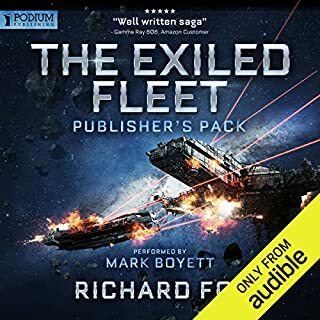 So as for now all I will say is that the first two audiobooks which came in a pack of one are excellently writing, beautiful creation of a universe with many different worlds and aliens, space battles and perfect personalities. As of now I fully recommend this series. Having a hard time describing how much I'm enjoying this series, and Ruins of Anthalas is one of the best. Firing on all cylinders, RoA gives us space battles, alien jungle worlds, lost civilizations, and plant of cosmic mystery and awe. The stakes keep getting hiring and the action keeps getting better. Slowly falling in love with the characters. The Ember War is part Robotech, part Starship Troopers, part Battlestar Galactica. If you like scifi, you cant go wrong with these books. shaping up to be a good space opera by the end of book 2. nice. Moves really well, a cast of characters , and enjoyable story line. The series is a little addicting as you follow the story through time . Great story. Keeps you wanting more. Cant wait for the next book. fifteen word review. great book they could make a 4 hour movie of this book it wood be amzing. I enjoyed these two fast-paced works of art immensely. Lovable characters, with nail biting twists and turns that had me on the edge of my seat till the very end. Looking forward to reading the next book in the series. What did you like most about The Ember War? 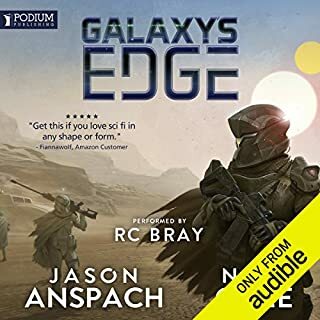 Very good space saga let down not by the narration but by the narrators accents. Great book but terrible accents from the narrator. Being Scottish I was a little upset but the Scandinavian was like Indian! A good old yarn. 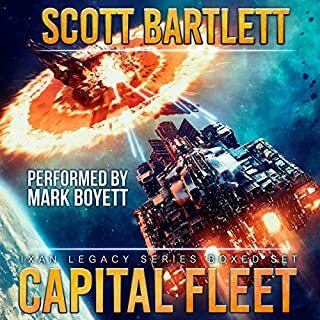 Bits of lots of sci fi stories from battlestar galactica to stargate and star trek. Some interesting twists along the way and well performed throughout. 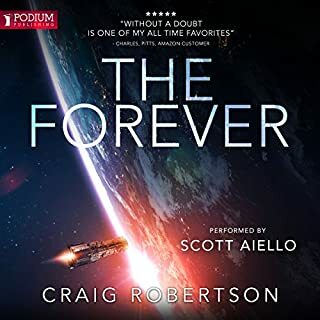 Now I've got to listen to the next five in the series, oh well there goes £100! I generally enjoyed this book, however I often felt lost in what was going on. I think the main reasons for this is that the book often fails to convey the scope of what is happening and I felt little attachment to the characters. Loving the story but its difficult at times to keep up with all the characters. also noted an issue with book 3 not being available so check that is there before you commit to this saga! 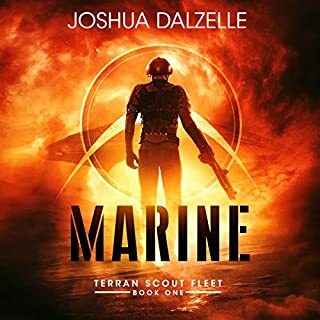 The premise is common enough; technologically superior alien species threatens the survival of humanity, and the unfolding struggle to defeat this threat. however the solution is sufficiently different to give an interesting and compelling story that barrels along at a good pace. The performance is very good with the exception of the Scottish and Australian accents! otherwise, the actor delivers a solid narration, nailing the fear, tension and frustration of the characters. dropped a star for the accents though! I love how this narrator does his Elias voice. and how Standish sounds. on to the next book in the series . like the mix of humour in the story. For me the book was spoiled by the narrator and his truly awful attempt at a Scottish accent. I can say this as someone who lived in southern Scotland for 13 years and who works with a Scot on a daily basis. Great story, mostly great narrating. The accents are painful, but if you can get through them, great storytelling and concepts.